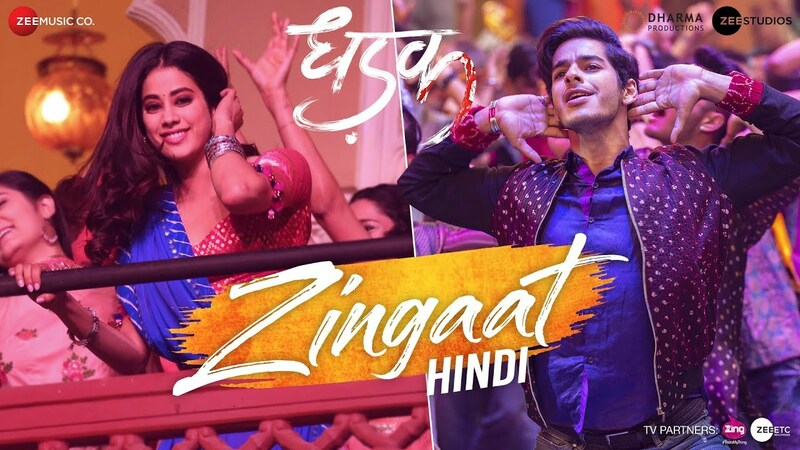 Zingaat Song Hindi Makeover of viral Marathi song “Jhingat” of the film “Sairat” and its Hindi makeover by the original composers Ajay-Atul. Zingaat song sung by Ajay Gogavale & Atul Gogavale and has lyrics penned by Amitabh Bhattacahrya. Dhadak (Hindi Movie) movie stars Ishaan & Janhvi. And directed by Shashank Khaitan. Dhadak (Hindi Movie) releases on 20 July 2018. Zingaat Song choreographed by Farah Khan.